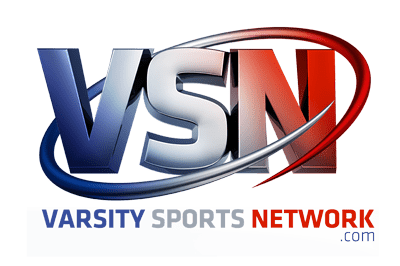 Atholton’s “Sweet Caroline” girls went wire-to-wire as VSN’S top ranked team in its 2018 Volleyball Top 20 and sealed their phenomenal season by capturing the Class 3A State Championship with a 3-zip conquest of a top notch No. 7 Bel Air team at Ritchie Coliseum in College Park, last week. The Raiders went a perfect 19-0 to claim their second 3A State title in three years and the Clarksville school’s sixth overall. This year’s crown avenged the team’s loss in the 2017 state semifinals to the eventual state champion Northern-Calvert. “This was a team that was focused, but also had fun with each other,” said Atholton’s first-year head coach Larry Schofield, who led Centennial to the 3A State championship in 2008 making him the first Howard County coach to win state volleyball titles at two different schools. Smith would usually break out in a dance when Sweet Caroline played and was joined by her teammates swinging arms and hugging. They loved it and their fans loved them. Atholton is one of eight teams that were ranked in the preseason Top 10 and finished in the Top 10 with three of those teams remaining in the top 5 – No. 1 Atholton, No. 2 Westminster (started at 4) and No. 5 South River (started at 2). Some16 teams overall in the preseason poll finished in the final poll. Among the Top 20 teams that maintained status in the rankings are seven league or conference champions in: Atholton – Howard County; Westminster and No. 11 Winters Mill – tied at 11-1 each for the MVAL Chesapeake Division title; No. 4 Mount de Sales Academy – IAAM A Conference; No. 6 Arundel – Anne Arundel County; No. 8 Rising Sun – UCBAC Chesapeake Division; No. 9 Hereford – Baltimore County; and No. 19 Catholic – IAAM B Conference. Anne Arundel County and Carroll County placed the most teams in the final Top 20 with four each. The Anne Arundel teams making the list of elites are South River, Arundel, Broadneck and No. 20 upstart Northeast, the runnerup to Atholton in the 3A East. Carroll County boasts Westminster, Winters Mill, No. 16 Liberty and No. 17 Century in what was arguably the northern Maryland county’s deepest league in memory. Howard County had as many as five teams ranked during the season, but had two teams fall off at season’s conclusion and ended up with three ranked along with the IAAM A Conference, Baltimore County and the UCBAC Chesapeake division. The Howard County teams were Atholton, No. 3 Glenelg and No. 13 Howard and the IAAM A Conference landed it’s champion Mount de Sales at No. 4 and St. Paul’s and Maryvale Prep at 14 and 15 respectively. The UCBAC Chesapeake boasts its champion and 7th ranked Rising Sun, runner-up and No. 8 Bel Air plus class 1A power Perryville at No. 18. Class 2A Rising Sun took both of its meetings with 3A Bel Air this season to take the Chesapeake division of the UCBAC and had an overall record of 15-3. The Tigers lost to eventual state champion Williamsport in the 2A State semis while 17-3 Bel Air made a better showing in the 3A states. Bel Air was down 2-0 in the 3A semis vs. Huntingtown and came roaring back to pull it out 3-2, but the miracles ended when they encountered deep and talented Atholton in the grand finale. Despite going a step farther in the big show in their respective class, the Bobcats were 0-2 in head-to-head against Rising Sun. And the Tigers won the league. Head-to-head is the all-time great tiebreaker. Now going 0-1 you might be generous and consider the loser over that winner, but not 0-2. As a result, it’s Rising Sun No. 7 and Bel Air No. 8. Class 1A Perryville was in and out of the Top 20 all season but climbed back in to finish at No.18. Although they have never won a state title, the Panthers have been a frequent visitor to the state tournament – 12 times – five finals, the last in 2017 and seven semifinals, including this year. Perryville has been to a state final or semifinal every year since 2011. This year Perryville lost to eventual state champion Clear Spring of Washington County by 3-zip and finished 12-5. Western Tech of Baltimore County made it to the 1A final for the first time in school history, but also lost by 3-zip to Clear Spring but the Wolverines earned their way into the VSN rankings with their banner 17-3 season. With their other losses in regular season to Batimore County champion and No. 9 Hereford and No. 10 Dulaney, the county runner-up, the Wolverines tied Anne Arundel County upstart Northeast for No. 20 in the final VSN poll for 2018. The latter Eagles went 15-3 overall, their final loss by 3-0 to Atholton in the Class 3A East region final. Northeast set a school record for wins this season, only the second winning season for the Eagles Eagles over the last 15 seasons.